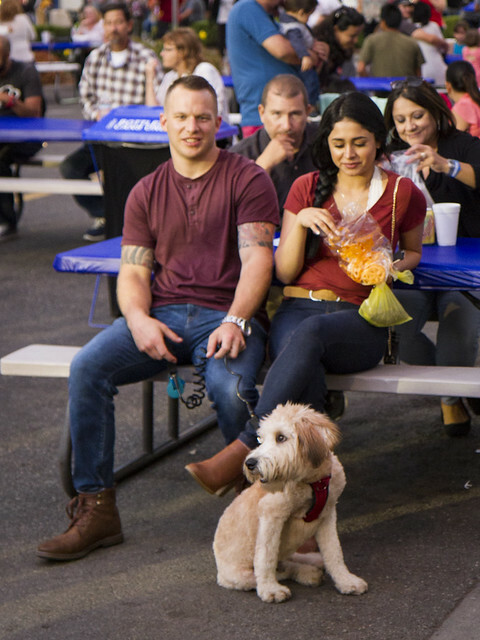 Last weekend's International Food and Music Festival was a dog-friendly place. This is Jackson, a soft-coated Wheaten Terrier. Huh, you say? According to Wikipedia, "the Soft-coated Wheaten Terrier is a pure breed terrier originating from Ireland. . . . Wheatens are generally friendly and playful, and tend to get along well with children and other dogs." This was definitely true of Jackson. He is very friendly, but calm enough to sit and enjoy the crowds with his owners.